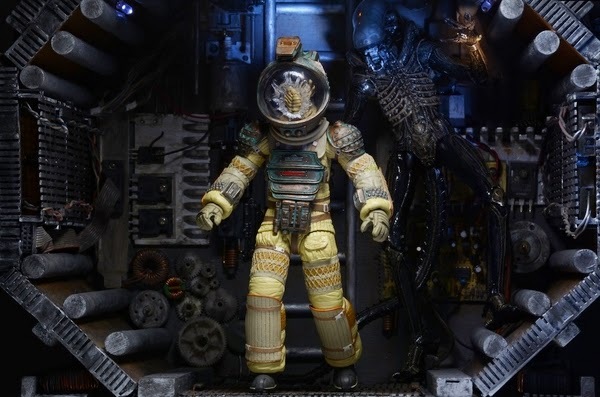 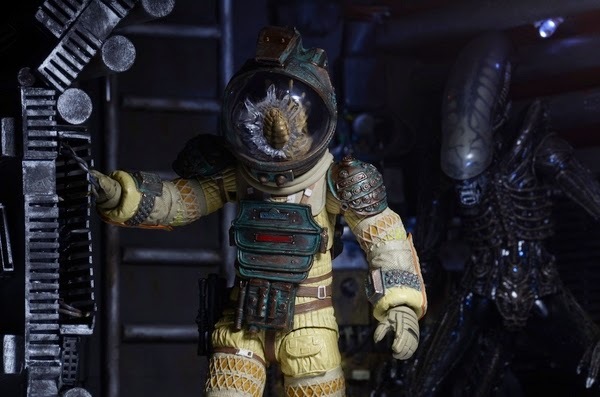 NECA's Alien(s) series has been pretty awesome so far, and with figures like Ripley, the Alien Queen and the Power Loader still on the horizon, it's probably only going to get hotter. 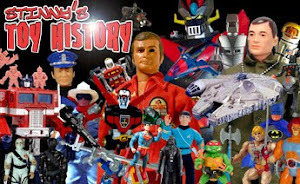 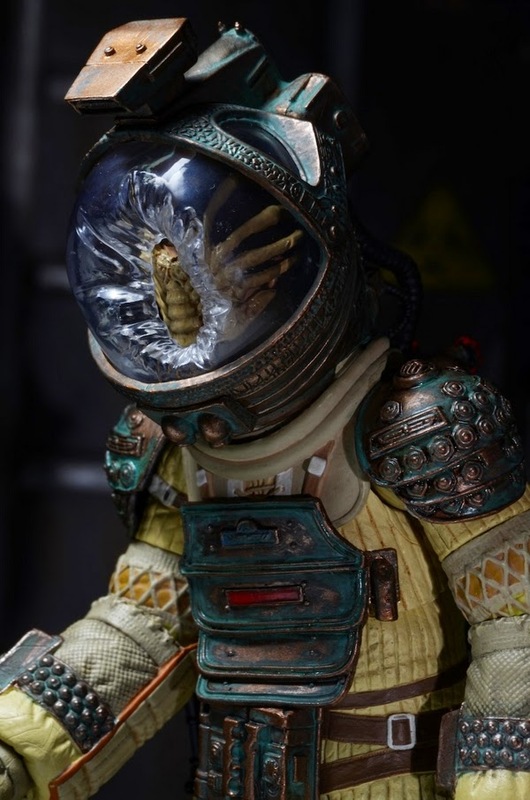 Series 3 will be giving us the first of the planned human characters from the original film. 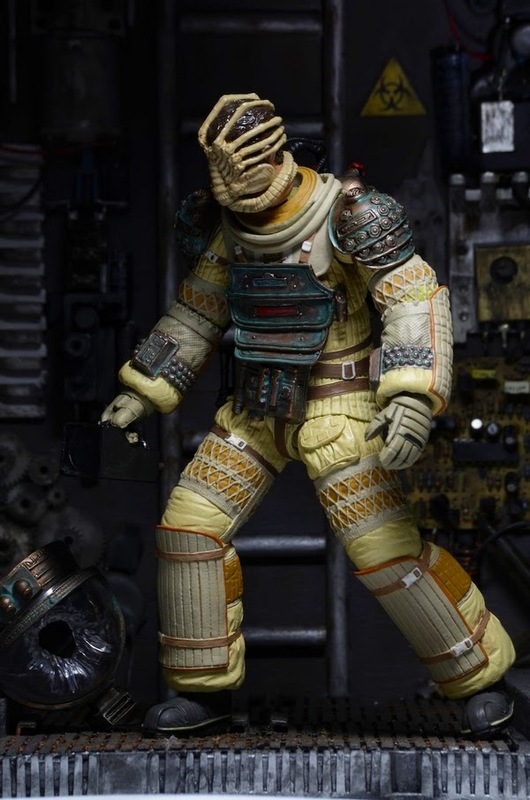 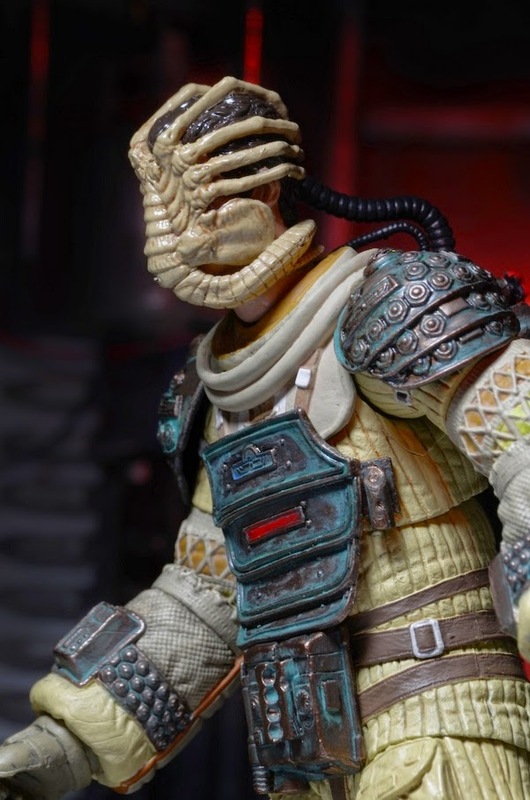 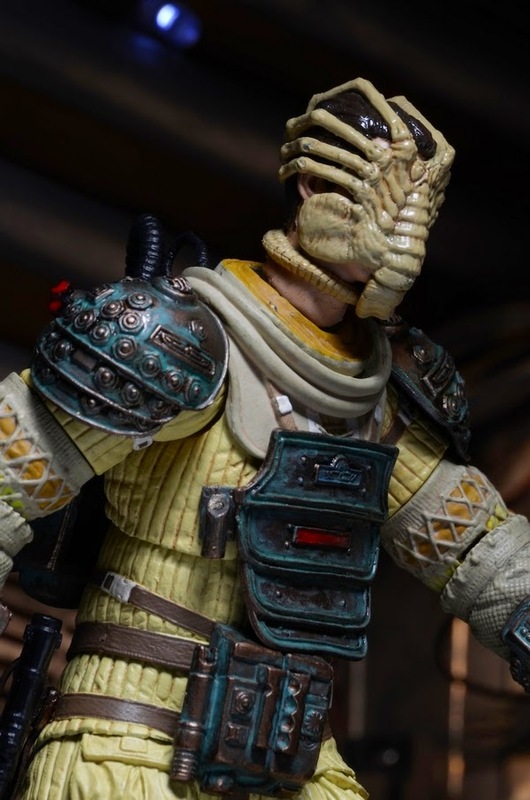 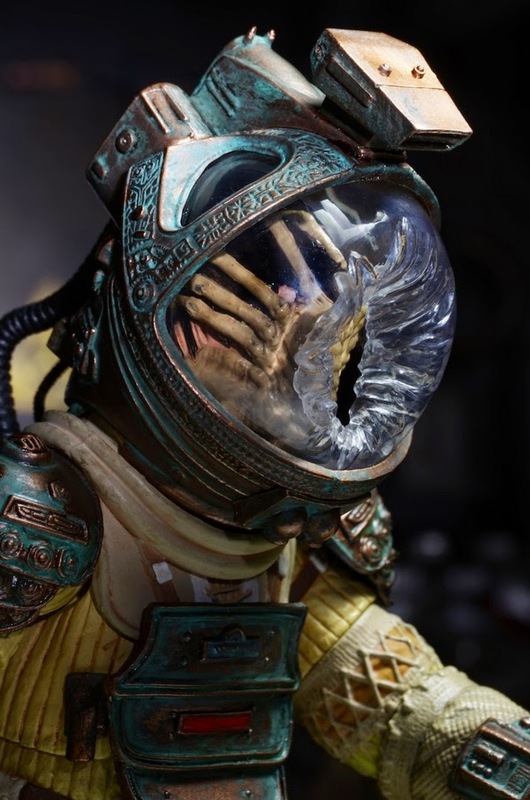 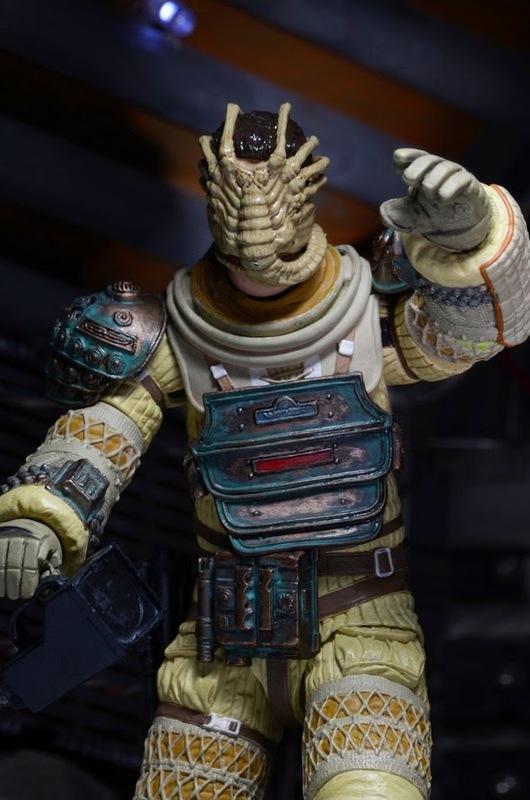 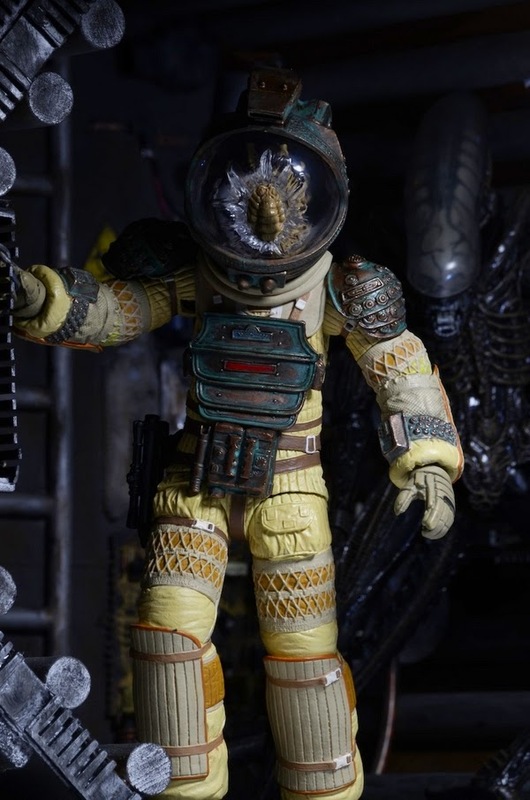 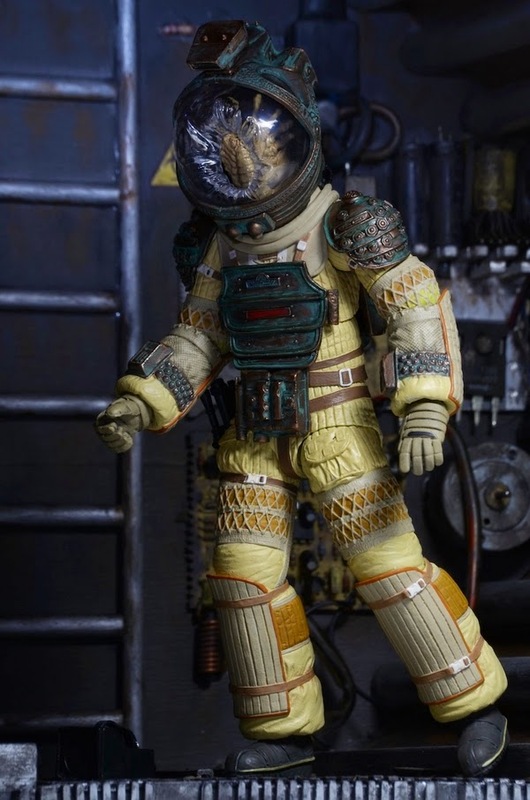 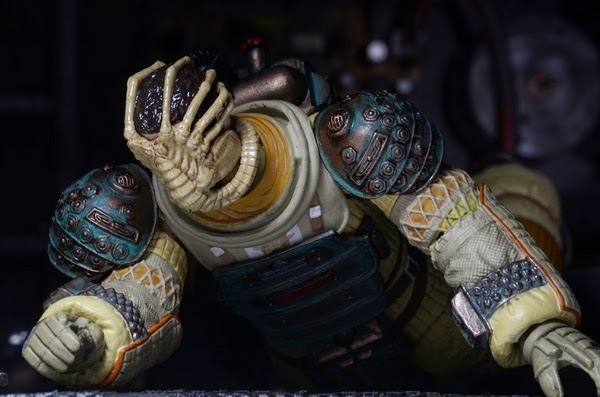 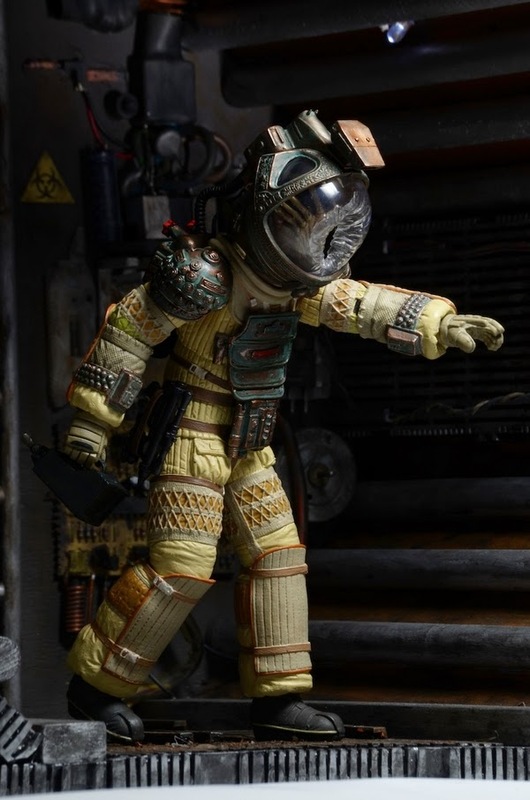 Here, NECA gives us a pretty sweet photo shoot of their upcoming Kane in Nostromo Suit. 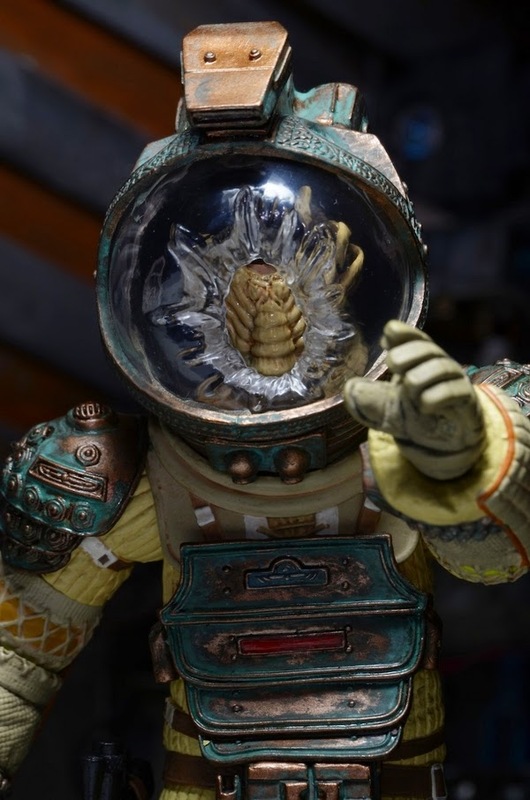 The detailing on the suit is just amazing and very realistic. 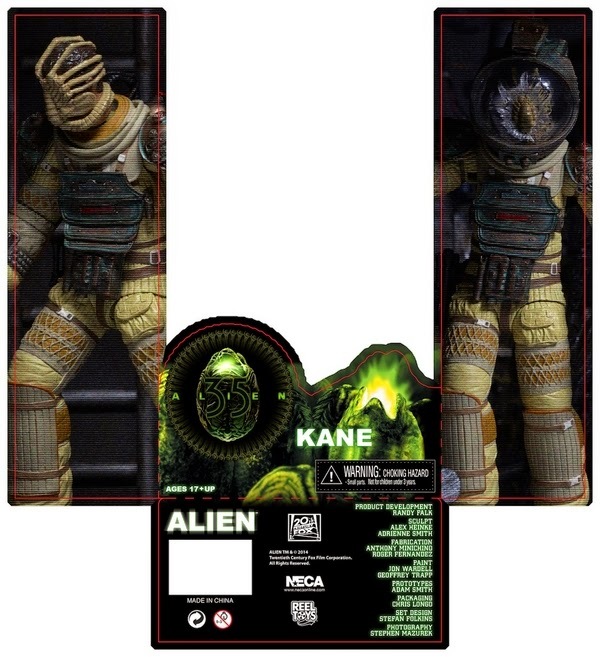 This version of Kane will have a Facehugger permanently attached to his face. 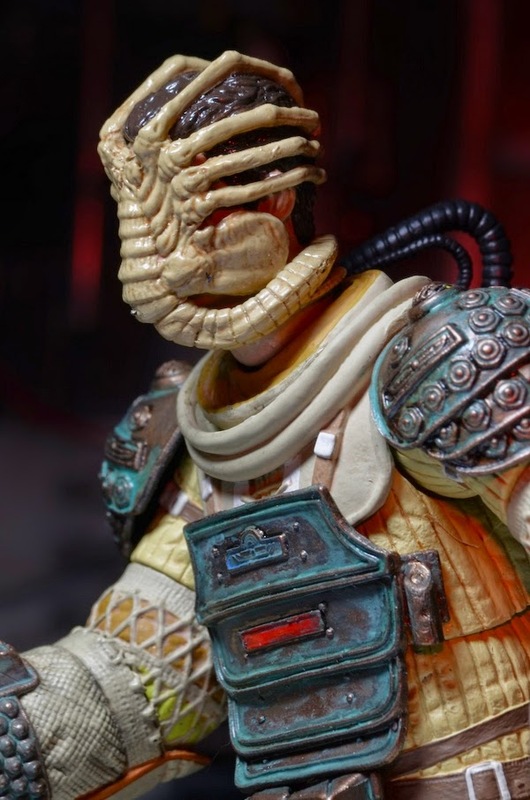 This could be because NECA doesn't have the likeness rights, or because they'll be re-releasing this figure without the Facehugger in the future. 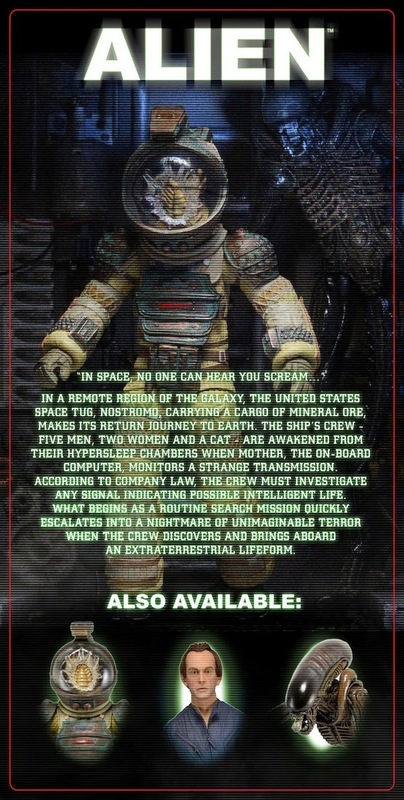 No way to know just yet. 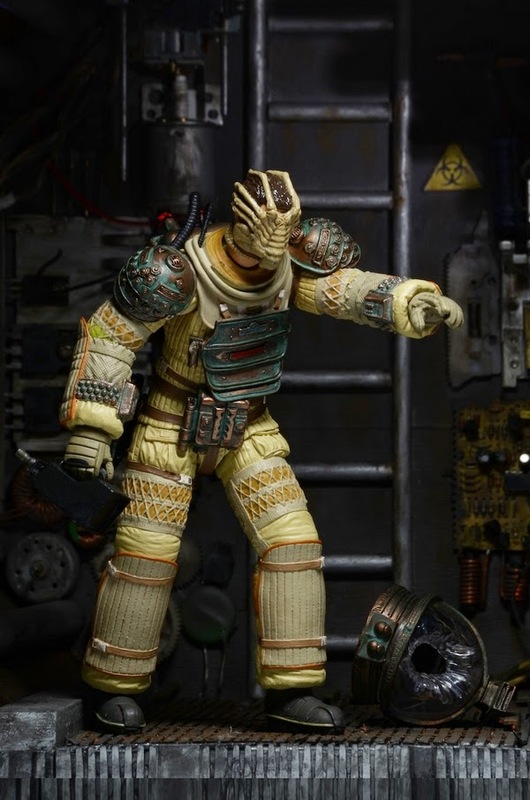 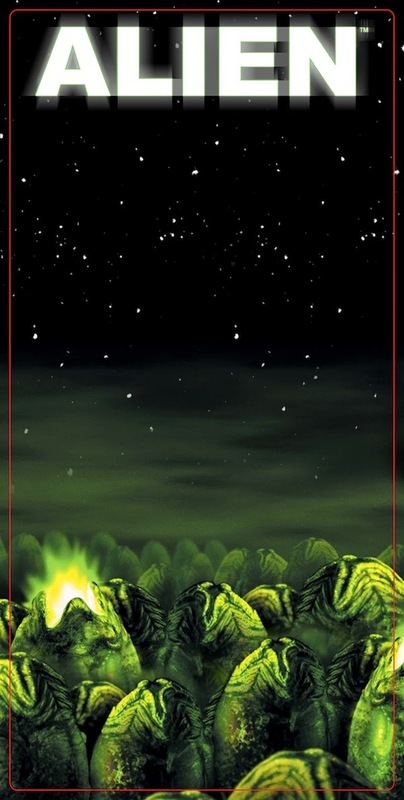 While no concrete date has been announced for Wave 3, it will probably be shipping in December.